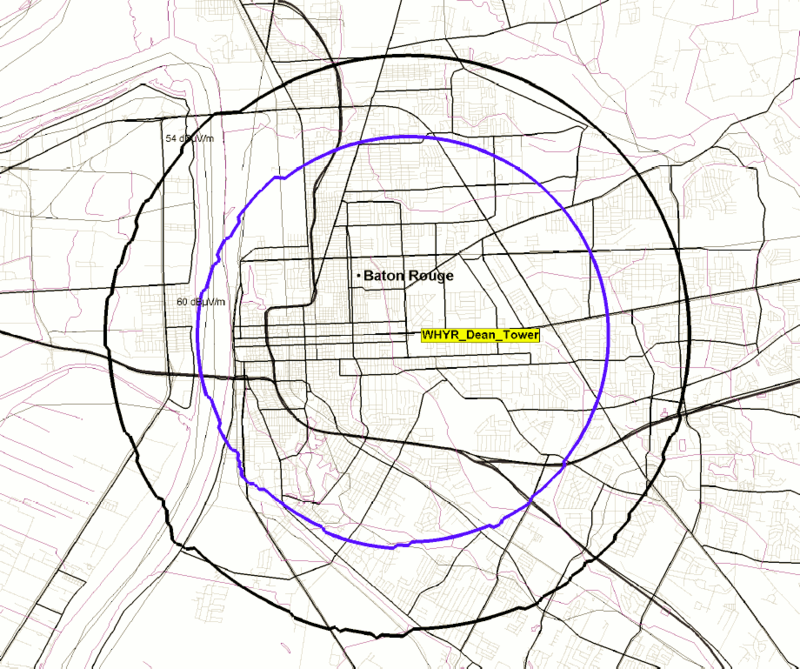 The signal inside the 60dB blue contour line, which covers approximately 120,000 persons, should be crystal clear. The signal inside the 54dB black contour line, which covers approximately 199,000 persons, should be acceptable for pleasant listening. Depending on the precise location, the signal should continue being reasonably acceptable outside the black contour line up to some distance and then drop off rapidly. Inside buildings, you can often improve the signal by adjusting your antenna (or by connecting an inexpensive dipole antenna, available for a few dollars from electronics stores).